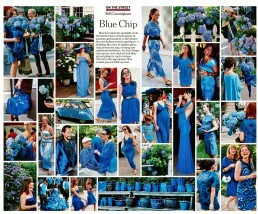 I wanted to pay homage to an inspirational man who passed away this week… Bill Cunningham. Bill was a New York fashion photographer who was known for his candid street photography. He had a knack for uncovering the pulse of upcoming and trending fashions as worn by regular New Yorkers. 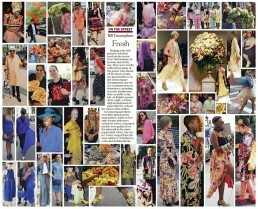 Bill’s fashion spreads in The New York Times were messy but glorious. He had a way of putting images together that just made sense. In this modern world overrun with minimalist aesthetic, Bill bucked convention and threw rough cutout images into every available space possible. He was an artist and he stuck true to his artistic vision. And to top it off he was a real sweetheart. He had a Fred Astaire-ish old-school quality – he belonged to another era, when gentleman and ladies ruled the world (for better or worse). 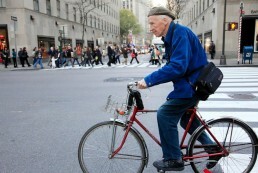 Bill – in his blue jacket, camera slung around his neck astride his trusted bicycle – was a true New York icon. RIP Bill. I hope you continue to see beauty in whatever world you’re in now.